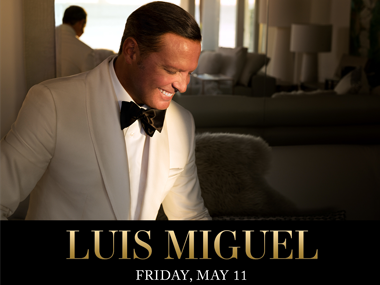 Sacramento, Calif. – Mexican singer, icon, and one of the most successful artists in Latin American history, Luis Miguel, announced North American dates for his ¡México Por Siempre! Tour. The 22-date outing will kick off May 4 in San Diego, CA, and stop in Sacramento at Golden 1 Center on Friday, May 11. Produced by Live Nation, the highly anticipated tour will also make stops in major cities across the U.S. and Canada, including Chicago, Houston, Miami, Toronto, New York, and more. Tickets will go on sale to the general public beginning Friday, February 16 at 10am local time at LiveNation.com. Citi® is the official pre-sale credit card of the ¡México Por Siempre! Tour. As such, Citi® card members will have access to purchase pre-sale tickets beginning February 13 at 10AM local time through Citi’s Private Pass® program. For complete pre-sale details visit www.citiprivatepass.com. May 11	\ ¡México Por Siempre!